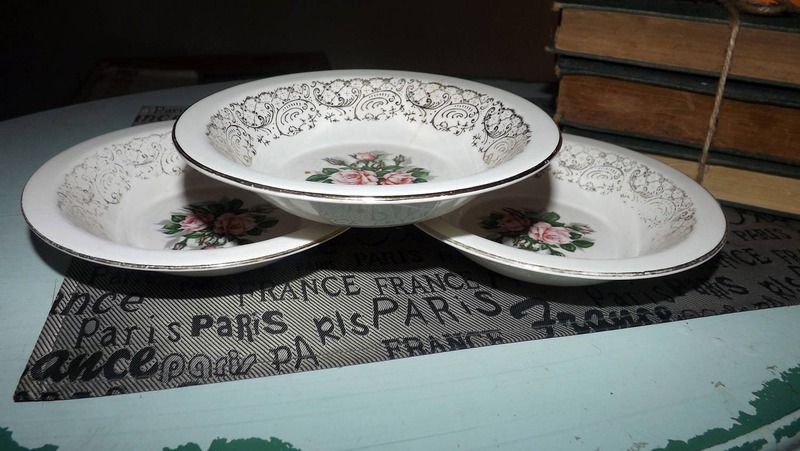 Set of 3 early mid-century (1940s) Georgian China | Homer Laughlin Tudor Rose rimmed fruit nappies | dessert | berry bowls. 22-karat gold. 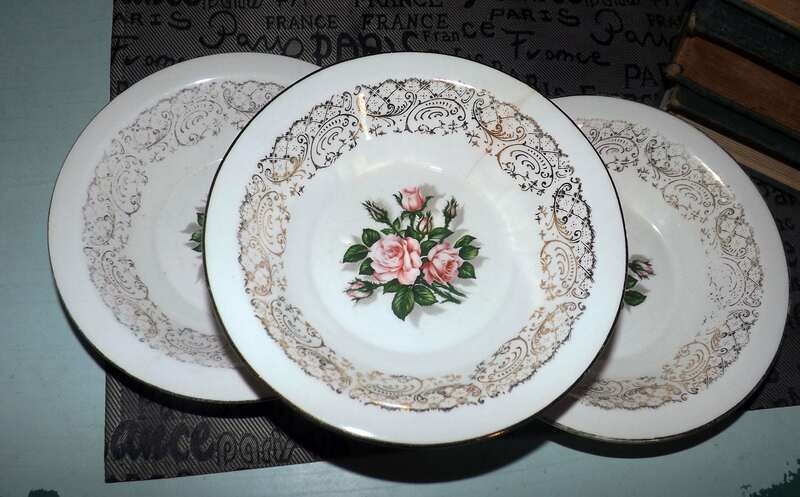 Set of 3 early mid-century (1940s) Georgian China | Homer Laughlin Tudor Rose pink rimmed fruit nappies, dessert, sauce or berry bowls. Tudor Rose features pink rose blooms surrounded by a broad band of gold filigree with a smooth, gold edge. 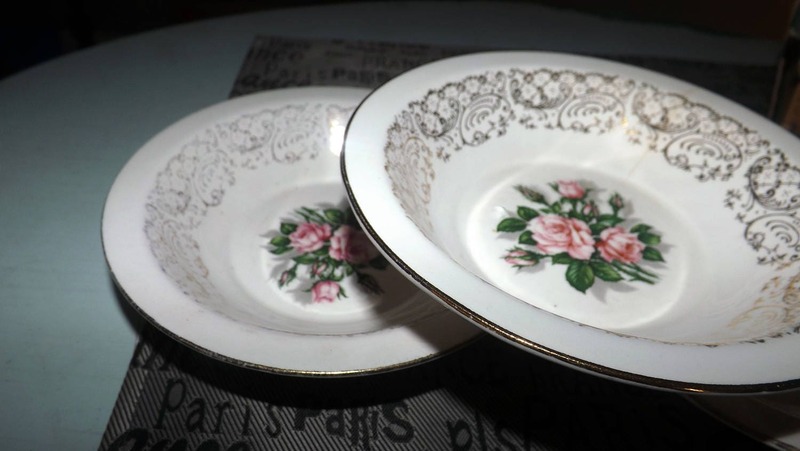 One of the three bowls has a chip to the edge and another has a WEE! 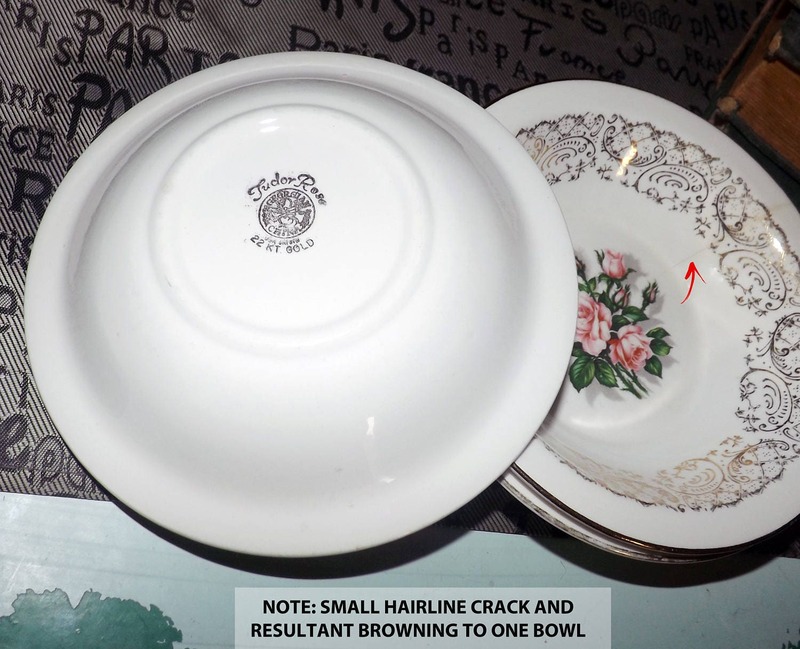 hairline crack and slight bit of resultant browning to through it (please refer to the posted photos - specifically photos 4 and 5 - at the red arrows to draw your attention to these imperfections). Otherwise, there are NO! chips, nicks, cracks or fleabites and NO! marks, stains, or other signs of use or wear. The pink roses are bright and vibrant with LITTLE TO NO! fading apparent. 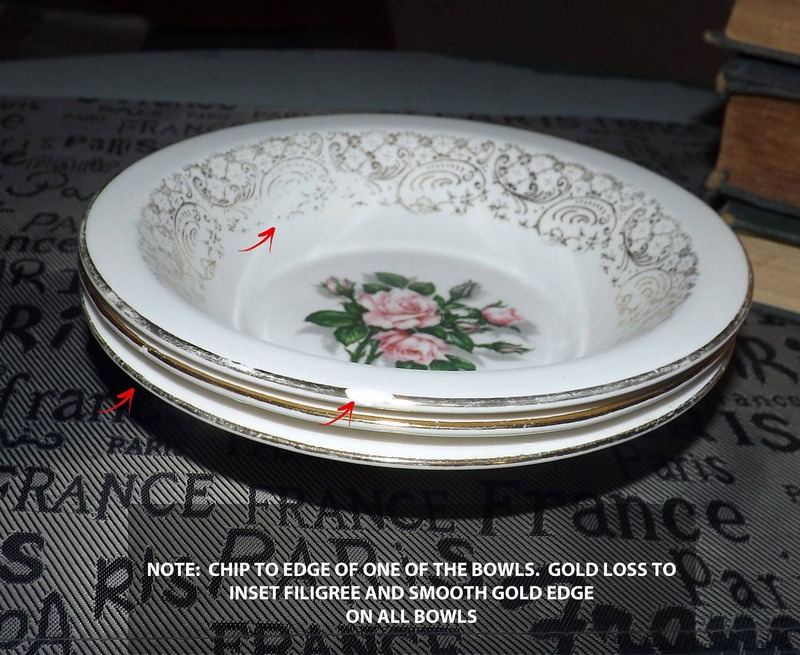 There is wear to the inset 22-karat gold filigree and some VERY MINOR! wear to the 22-karat smooth, gold edge. Again, please do - ALWAYS! - review all of the posted photos for a complete visual of the items. Approximate measurements: 6-1/2" in diameter x 2-1/4" in depth (NOT including the rim in this depth measurement) with a 3/4" rim.